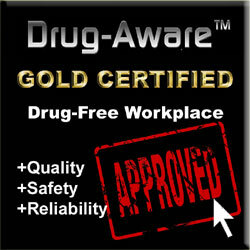 Having a Drug-Aware Certified logo on your web site is a mark of quality, safety and reliability. With around 70% of drug users in full time employment, having users of drugs and alcohol in the workplace is a very real possibility – which increases accident rates, ill health, absenteeism, wasted materials, damage to plant and equipment, and more. This is a drain for any business, but it also affects its customers. Displaying the Drug-Aware Certified logo demonstrates that a business has a pro-active approach to risk management, efficiency and cares about the welfare of its employees. Are your suppliers Drug-Aware Certified? Ask them! So what levels of Drug-Aware Certification are there? Our Gold Certified companies have demonstrated that they have a robust drugs and alcohol policy, which includes drug and alcohol screening of staff and awareness training for managers – to help them recognise the signs and symptoms of abuse. As a result, they are likely to be more efficient, safe and reliable than companies which do not have such measures. Our Silver Certified companies have carried out drug and alcohol awareness training. Our Bronze Certified organisations have completed our FREE distance learning drug and alcohol awareness programme – which enables them to understand the prevalence of the problem, how it affects the workplace, their legal obligations and how to recognise the signs and symptoms of abuse. Contact us for details and get your web site Drug-Aware Certified – it adds great credibility from the perspective of your customers and it is FREE. What sizes of logo are available? To cover all requirements, we offer logos which are 250×250 pixels, 180×180, 140×140 and 100×100 pixels. See below for examples. If you are looking to be approved for a Drug-Aware Certified logo for your business web site, please contact us for details. 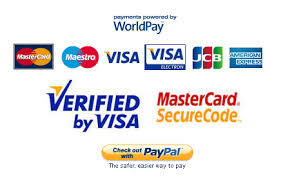 The process is entirely free, but we must ensure that you meet the criteria for each level of certification. If you are eligible for a lower level of certification and wish to achieve a higher level, our training and testing services are also available. The logo must be linked to this page of our web site, so that your visitors can click through to read what the certification means. The logo remains our copyright – it is being used under license and we may remove that license if your business or web site no longer conforms to our certification process. It is our aim to ensure that Drug-Aware Certification remains a true mark of quality in the field of drug and alcohol awareness and workplace drug testing.